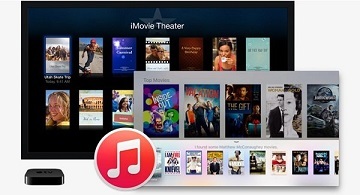 This post provides the complete guide for you to learn how to remove DRM from iTunes movies before adding them into iMovie. 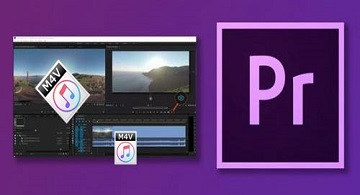 Check this article to find out the tools you need in order to edit iTunes movies or TV shows in Adobe Premiere Pro. Do you have any M4V videos from iTunes store with incorrect metadata info? If so, you can remove DRM and try these best video metadata tools. To add watermarks to common videos, you can either use a free video editor such as iMovie. But for DRM movies, you need a comprehensive iTunes DRM Converter. Normally you need to remove DRM first before you can edit your iTunes M4V videos. Now you can do that directly by following this one-stop solution. In this tutorial, you will find out the easy tool to import and edit iTunes movies and TV shows in DaVinci Resolve while removing DRM protection from iTunes videos. Sony Vegas is one of the professional open-source video editing software, but it can't import iTunes movies for editing directly. So you can check out this article to find the best way to convert iTunes videos to Sony Vegas. If you'd like to edit iTunes movies on the free open source Shotcut video editor, then you have definitely come to the right place, here we introduce the features of Shotcut and the full tutorial of Shotcut video editing. If you are new to Lightworks video editor and want to want to edit iTunes movies with it, please just take a look at this tutorial. He we will offer everything you need to know about iTunes video editing with Lightworks. Want to edit iTunes M4V videos on After Effects? Please read on this tutorial, you will find out the detailed solution to import iTunes DRM M4V movies to After Effects. This tutorial shows how to convert iTunes movies to GoPro Studio compatible format as well as the full tutorial on how to edit videos on GoPro Studio step by step. Many users find that iTunes videos downloaded in iPhone can't be detected by the iPhone video editor. To solve this issue, we will guide you on how to remove FairPlay DRM and transfer the iTunes M4V movies to the iPhone camera roll. In this page, you can find out the best solution to import and clip iTunes DRM-protected M4V videos to PowerPoint with the help of DRmare M4V Converter. This page covers the tutorial on how to remove DRM from iTunes videos by DRmare M4V to iDVD Converter and how to burn the DRM-free videos on iDVD. In this post, you'll find out the complete tutorial to make iTunes videos editable on iBooks Author with DRmare M4V Converter. iTunes movies or TV shows can't be imported to FCP for editing due to DRM protection. In this post, we'll show you how to get rid of DRM from iTunes with DRmare so that you can freely edit any iTunes video with FCP. Here you'll find the complete tutorial to add iTunes movies to Windows Movie Maker for editing. Kdenlive is an open-source video editing software, but this video editor can't support iTunes videos directly. So, in this article, we will give a simple yet professional tutorial for you to import iTunes DRM M4V videos to Kdenlive software with ease.